Santa Maria dei Miracoli is a perfect jewel box church, simple in form but ornamented with fine exterior marble facings. 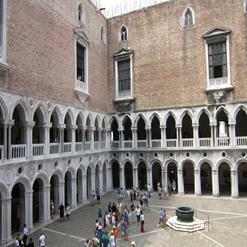 It was built in between 1481 and 1489 by Pietro Lombardo. This was the prettiest church which has beautiful coating of colorful pastel marble. It is also known as "Marble Church".